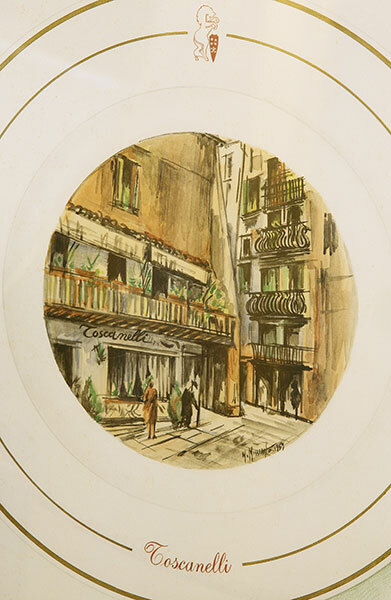 Towards the end of the XVIII century, young men and university students used to meet at the well known « trattoria » at number 2, Via dell’Arco called « Monopoli » where Pompeo, a vigorous waiter, would serve them good food and wine. At the end of World War 2, a young man from Tuscany called Italo Morosi, decided to return to Italy after having worked as personal chef to the Belgian Ambassador in Vienna and later to General Clark at the armed forces. 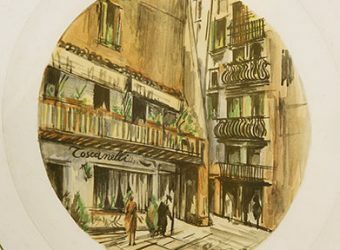 He and his wife, Delia, bought « The Monopoli » which had become an old, dilapidated building by then, and in a very short time, in May 1946, transformed it into one of the most renowned restaurants in town. 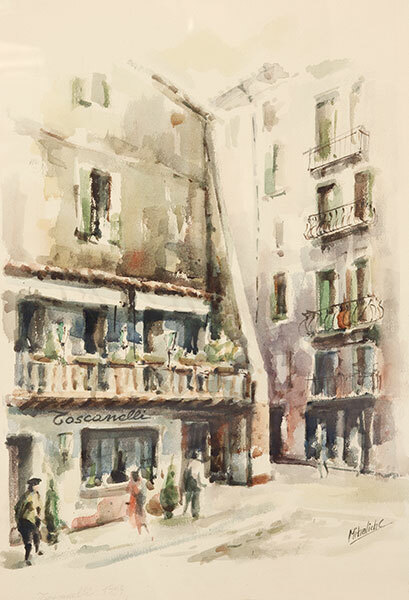 They called it: « The Toscanelli Restaurant » referring to their Tuscan origin. 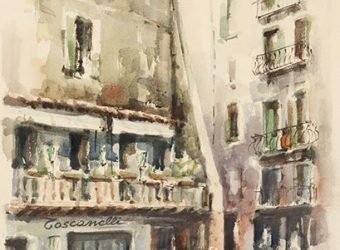 Very little of the characteristics and poetic air, which transpires from the paintings here below with its post-war atmosphere, remain today. The building, situated in the heart of the old Jewish ghetto, dates from the 1500 was reconstructed and became known as « The Majestic Toscanelli Hotel », one of the finest hotels in Padova. It has been home to the Morosi family who have been managing the hotel since 1968. Today, their daughter and son, Anna Maria and Mario, carry on the family tradition with the same dedication, making it their precious treasure.